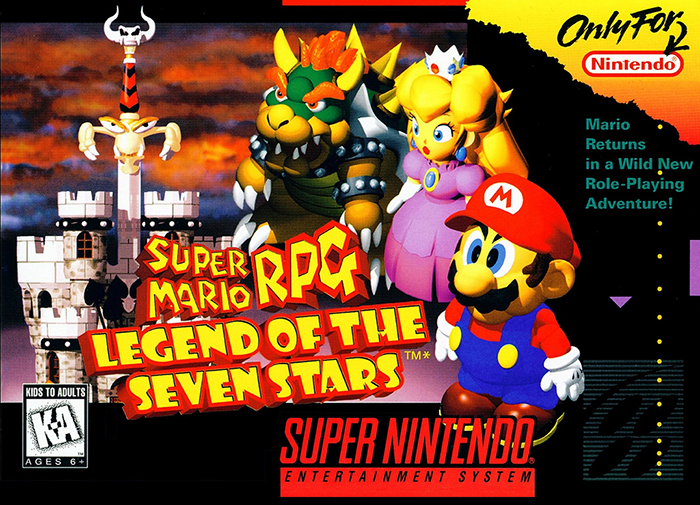 When Super Mario RPG: Legend of the Seven Stars came out in March of 1996, I was nine years old. Back then, I went to the video store with my parents and literally judged games by their cover. This game had Mario on the box. I was in. I didn’t know this particular game was very different from the usual platforming, hop-and-bop gameplay you might expect. For one, it was an isometric game. Yet when I loaded up the save file of whoever played the video store cartridge last, the first thing I did was jump on a goomba. When the game screen wiped into a completely different area that had Mario on one side and the goomba on the other, I knew what kind of game this was. It was another turn-based game with lots of text (even though Mario never spoke a word) and memorable characters. Developed by Squaresoft (before they merged with Enix and became Square-Enix), it had classic Final Fantasy gameplay with a Mario twist. The game had timed hits and timed blocks. Both Princess Toadstool and Bowser could join your team. As a kid whose first video game ever was Donkey Kong, and first console game ever was the original Super Mario Bros., this game was insane. The graphics were amazing (for their time), and the world of Mario became so much more than just floating platforms and turtle dragons. There were towns. There were regular people, with regular jobs. 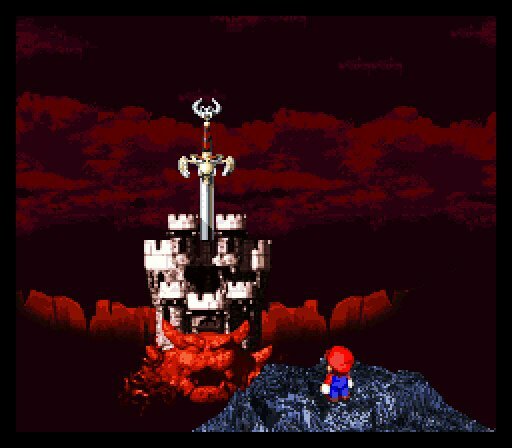 This was a Super Mario World I wanted to live in. I fell in love with characters like Mallow the cloud prince, and Geno the battle-puppet. I still hum the game’s soundtrack to this day. And the timed hits system was so ahead of its time, when games like Legend of Dragoon came out, it was old hat to me.